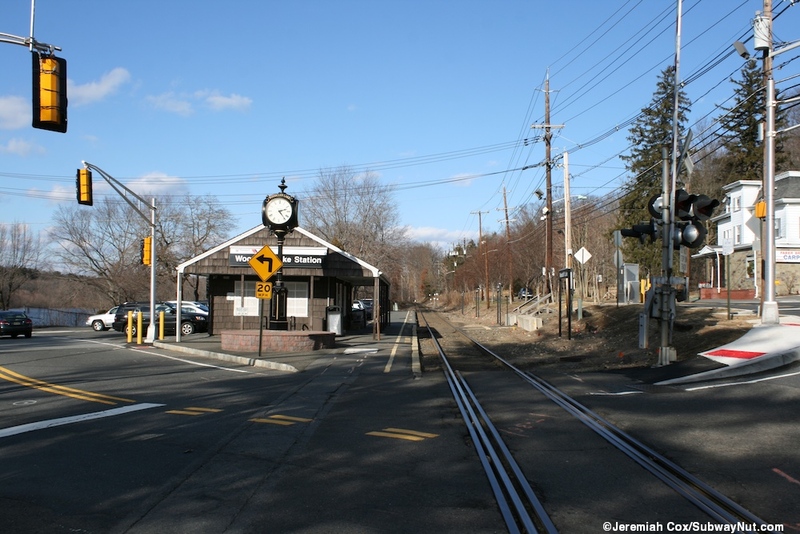 Woodcliff Lake is a lightly used Pascack Valley Line Station and one of two stations bypassed by all weekend service along with some weekday trains. 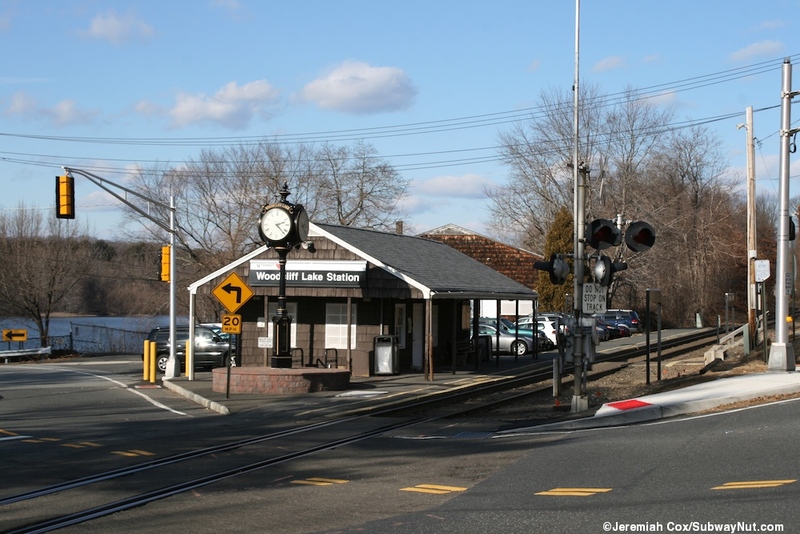 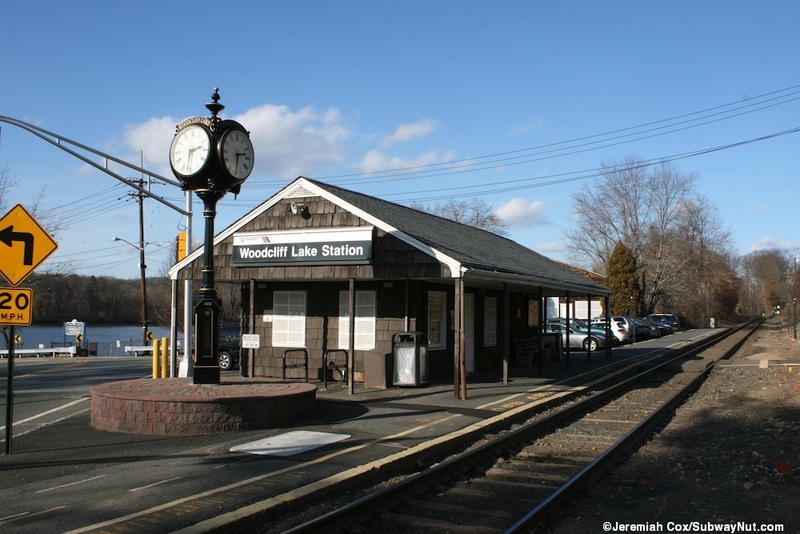 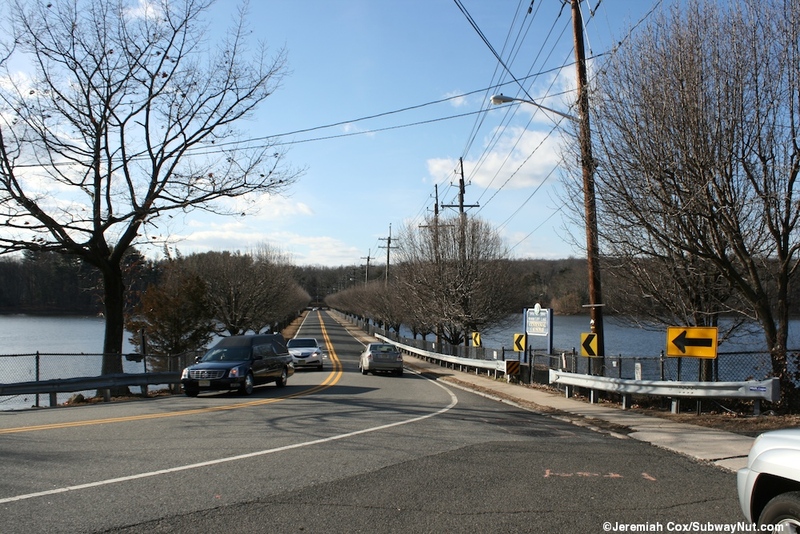 It is also the station that feels the most 'rural' directly along the edge of Woodcliff Lake Reservoir with the southern end of the platform at the grade crossing of Woodcliff Avenue where it crosses the lake on a causeway. 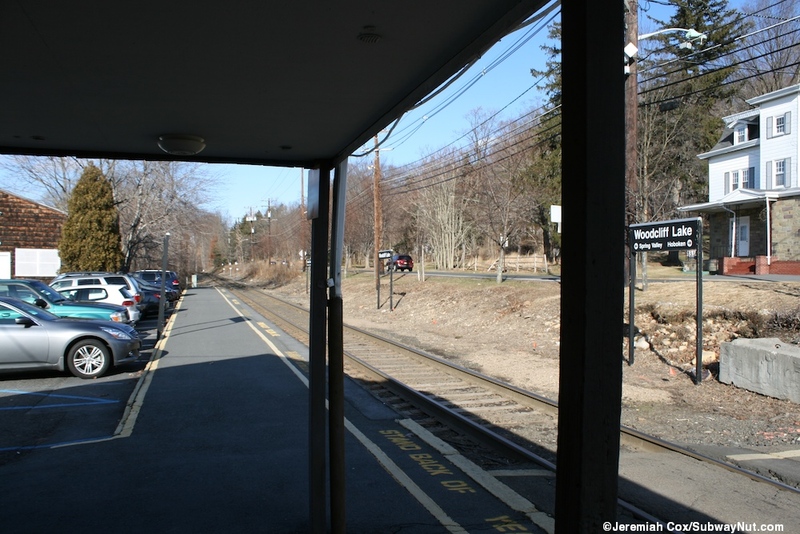 The platform is lakeside (on the western side of the single track) and across from Broadway which the tracks follow. 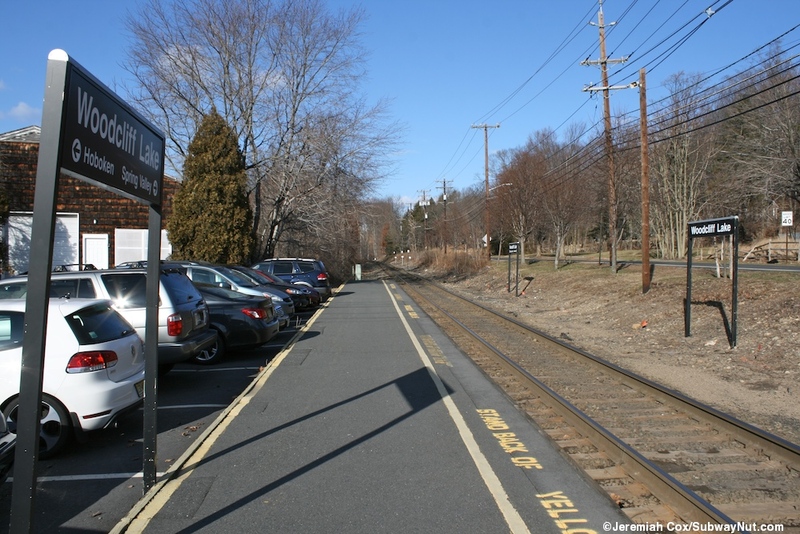 The low-level platform is a simple stretch of concrete for maybe four cars with just a simple yellow line, lacking a tactile warning strip. 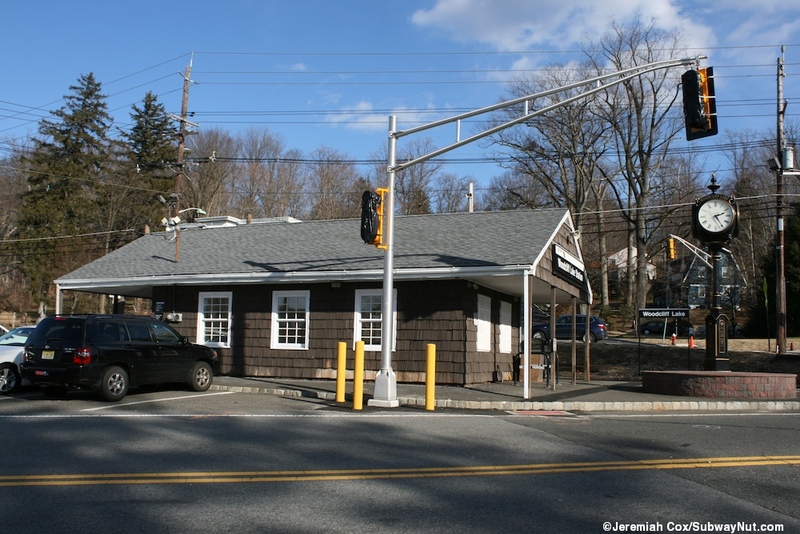 At the southern end of the station is a small wooden brown singled station house with a gabled roof providing porches on all four sides including over the platform itself. 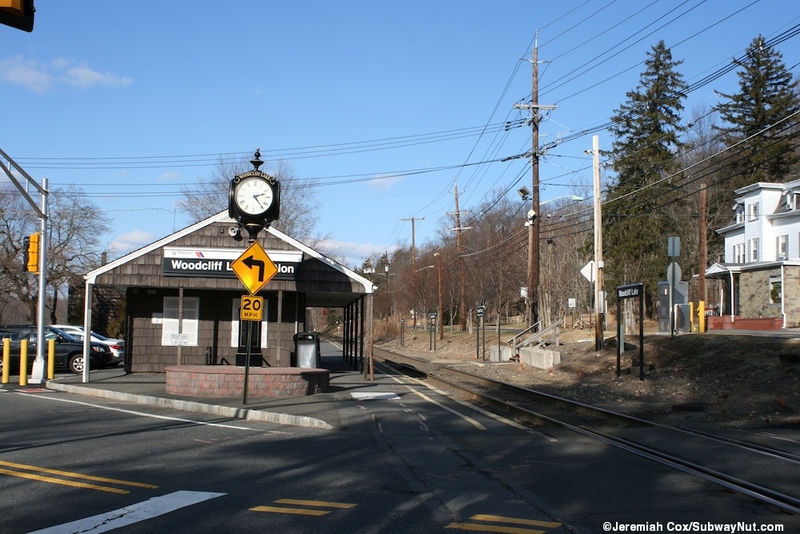 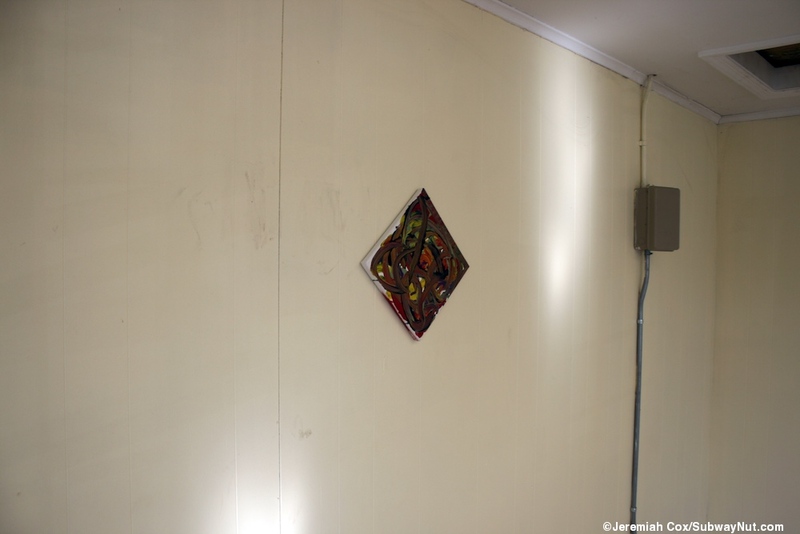 This is where the station's TVM is. 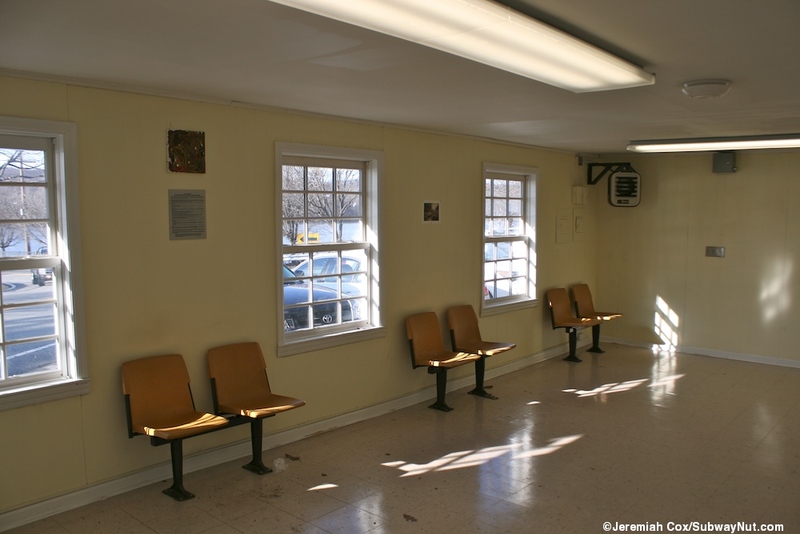 There are white framed windows. 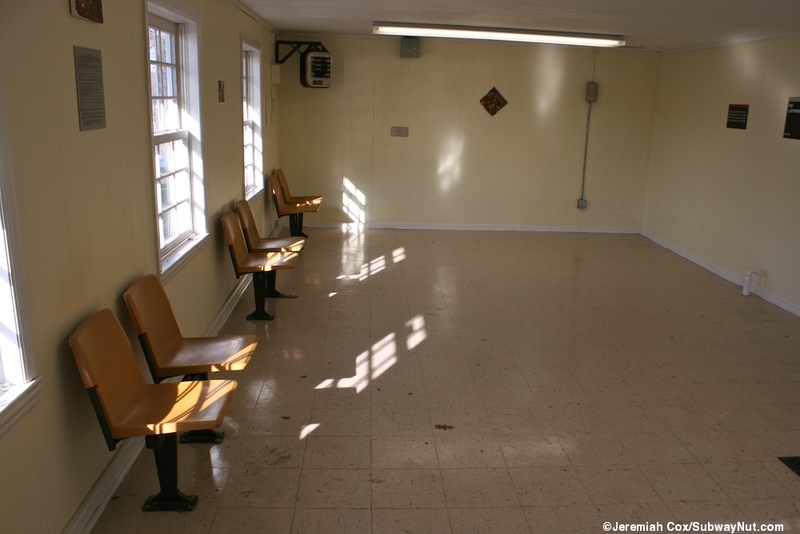 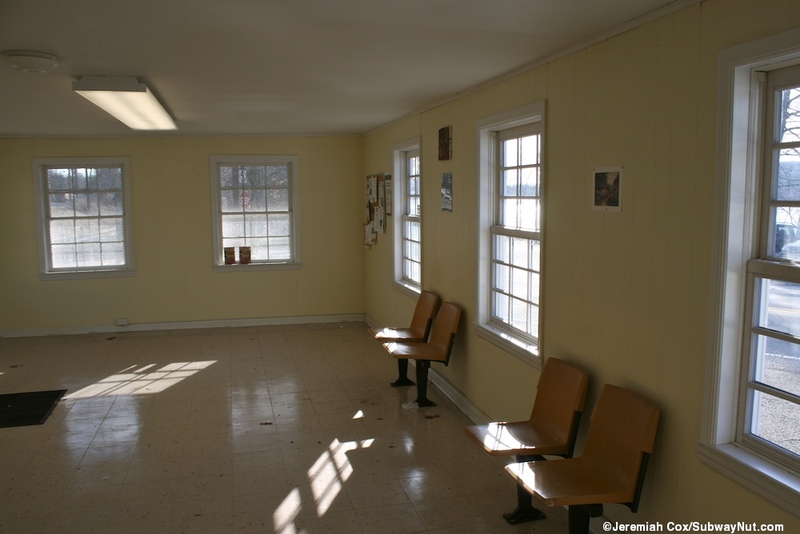 Inside the station is a brown linoleum floor and cream colored walls, there are three sets of two attached brown plastic chairs as amenities for waiting passengers. 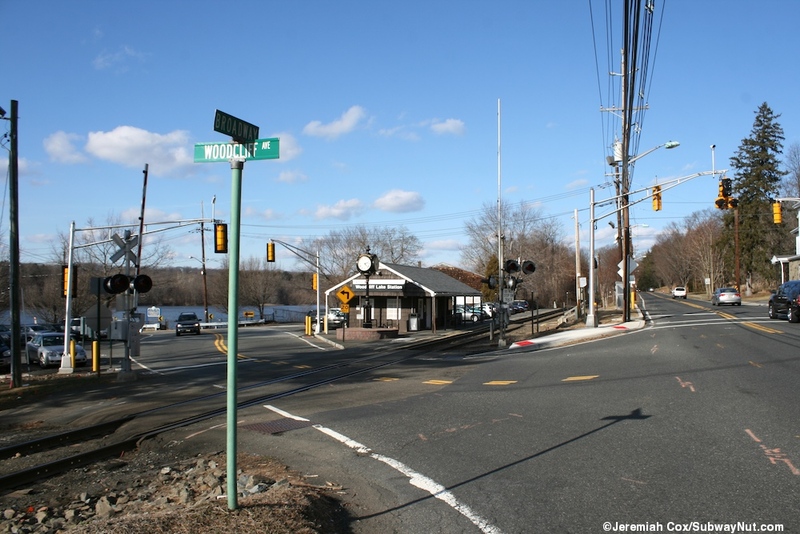 Just south of the depot at the intersection is a modern clock with Woodcliff Lake engraved in gold on top of the green clock. 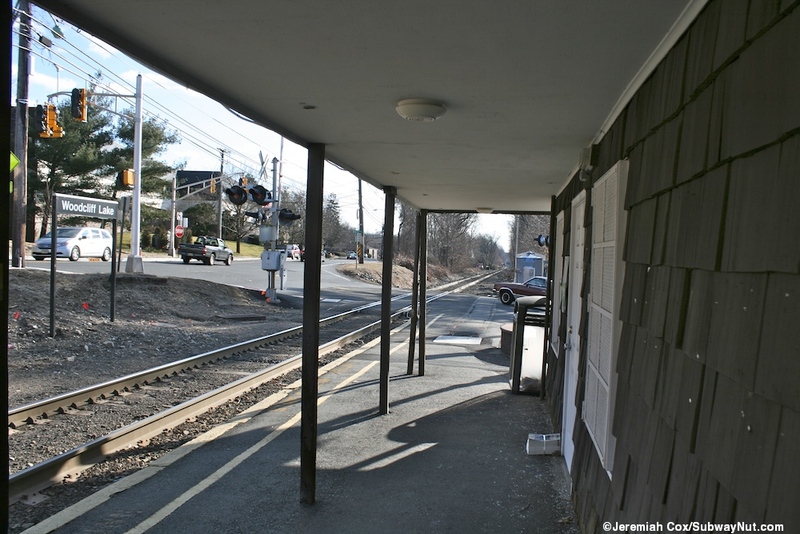 At the northern end of the depot is a small stretch of pavement across the tracks to a short staircase up to Broadway. 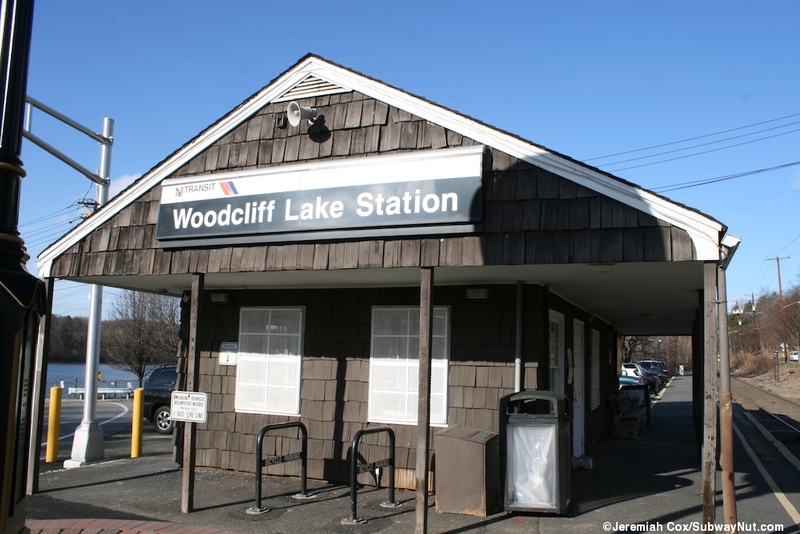 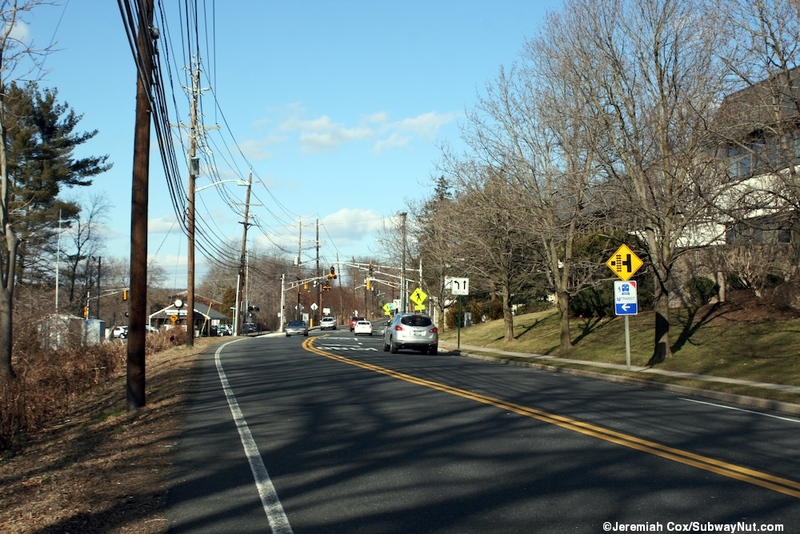 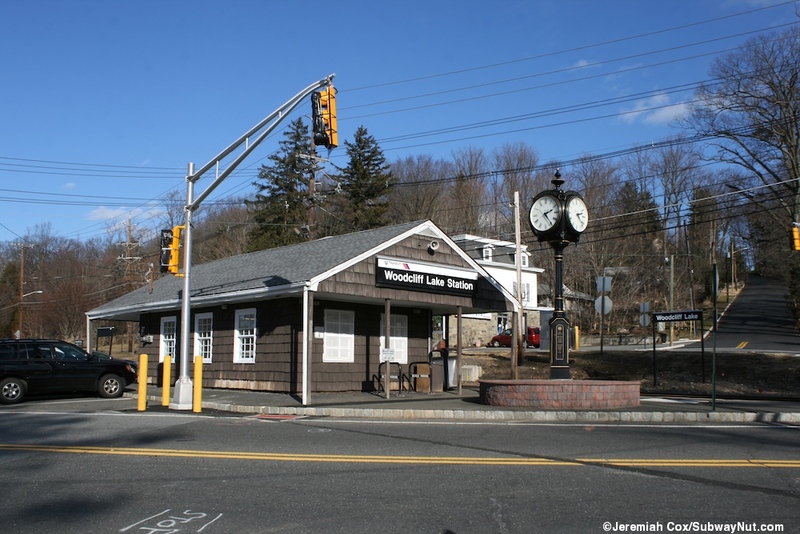 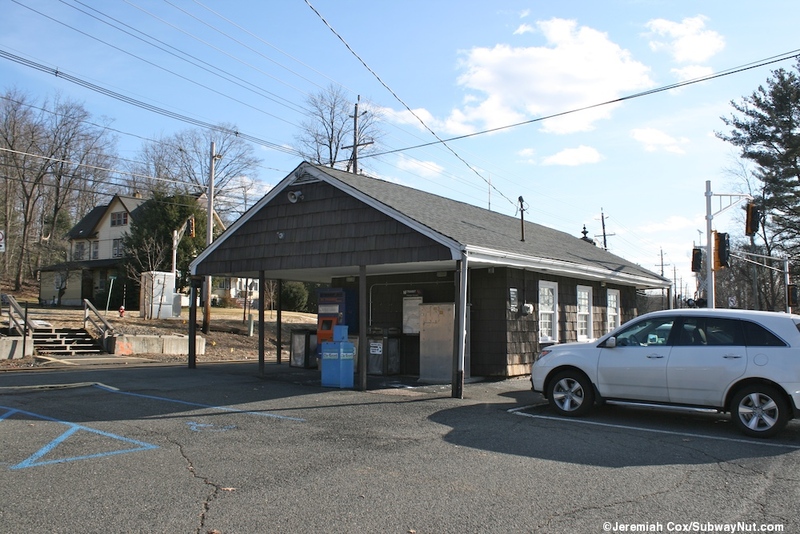 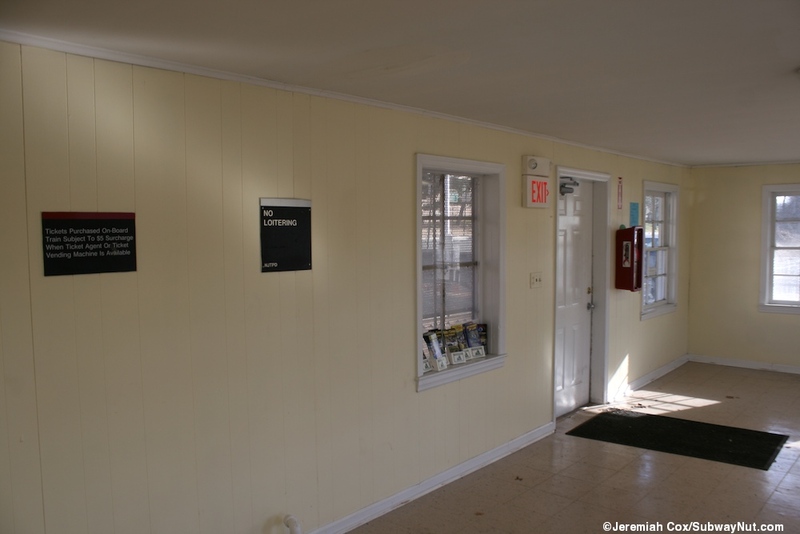 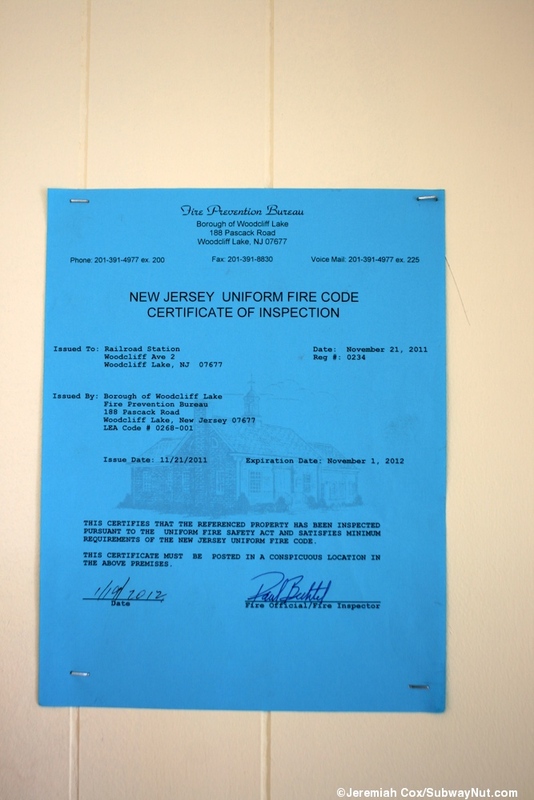 Parking consists of 60 permit only spaces between the station and the lake on each side of Woodcliff Avenue, controlled by the borough of Woodcliff Lake.